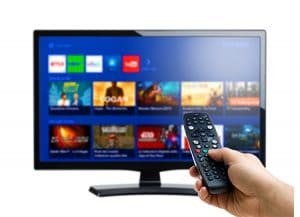 As traditional pay-TV’s net promoter score (NPS) dropped slightly in 3Q 2018, new research from Parks Associates found that consumers are more likely to recommend online pay-TV over traditional pay-TV services. Factors that influenced US broadband households to switch, downgrade, or cancel their pay-TV service include: cost, poor customer service, show options, unreliable service, and time. Nearly 60% of those surveyed said their pay-TV service wasn’t worth the monthly cost. Additionally, the number of US broadband households who don’t subscribe to traditional TV increased from 16% in 2011 to 22% in 2017. In early 2018, 79% of US broadband households reported having traditional pay-TV subscriptions. About 33% of pay-TV subscribers changed their service between 1Q 2017 and 1Q 2018.